From a tenement apartment in Manhattan’s Chinatown to a 16th-century dungeon from the Spanish Inquisition, a Bucks County doctor loves to create worlds inhabited by characters from your favorite plays. 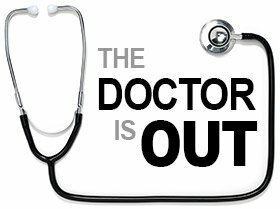 Dr. Roman Tatarowicz, obstetrics medical director and chair of the department of obstetrics/gynecology at St. Mary’s Medical Center in Langhorne, is a theatrical scenic designer. His work has been seen in productions at the People’s Light and Theatre in Malvern, Chester County; the Capitol Repertory Theatre in Albany, New York; and off-broadway at Urban Stages in New York City. 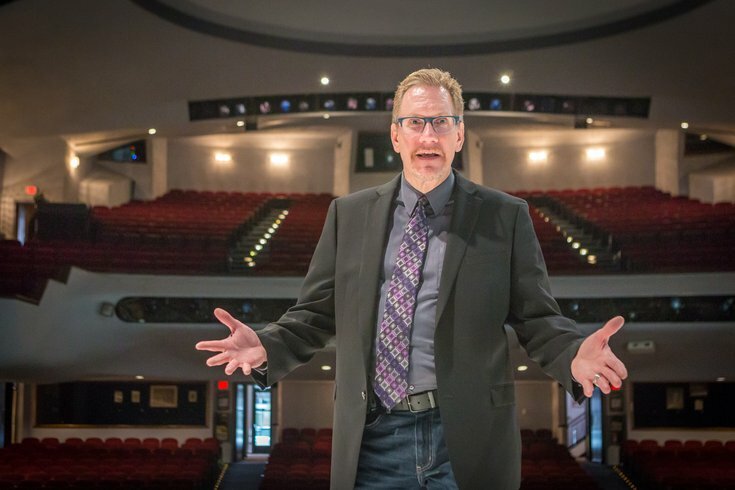 Although Tatarowicz says few people make the connection between the doctor who delivered their babies and the scenic designer listed in the playbill when they go to the theater, he seems to straddle both worlds with ease. A love of theater was instilled in Tatarowicz, 59, early on by his parents while growing up in Bayonne, New Jersey, but what really sparked his interest in scenic design was one particular trip to the Metropolitan Opera to see his father’s friend sing. After the show, the friend’s wife took him onto the stage so he could watch the crew dismantle the set. He was totally blown away by how they were taking down a whole city and putting up a whole new one for the evening performance. Tatarowicz knew he wanted to be involved in the theater world in some way, but he also felt a call to go into medicine. Luckily though, he never found himself conflicted by his dueling passions for science and the arts. When his academic advisers at the University of Scranton, where he studied pre-med, pushed him to choose one career or the other, he stood his ground. He knew he would find a way to do both. And while medicine was his focus as he completed his training, he never let go of his passion for theater. Self-taught, Tatarowicz worked on stage crews soaking up as much information as he could. He became a member of the local chapter of the International Alliance of Theatrical Stage Employees, Moving Picture Technicians, Artists and Allied Crafts of the U.S. (IATSE). Recently, he designed scenery for a production of "The Humans" on the Main Stage at the Walnut Street Theatre and for "Triumph of Love" at the Bristol Riverside Theatre. And right now his sets for "Tell Me on a Sunday" at the Walnut’s Independence Studio on 3 can be seen until the show's close on Sunday. 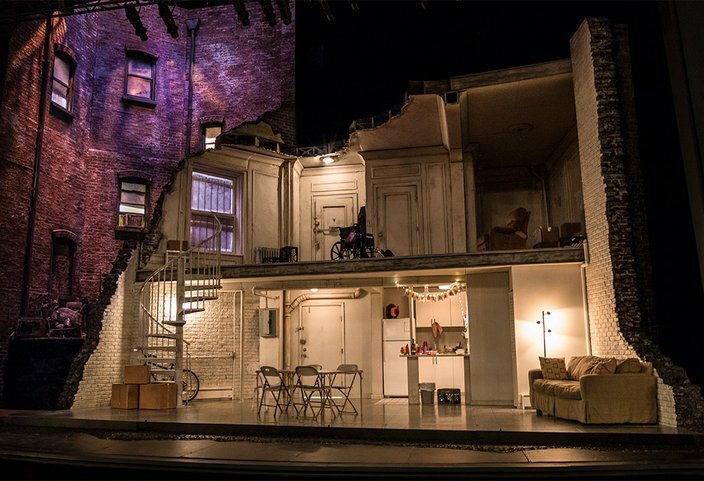 Dr. Roman Tatarowicz designed scenery for “The Humans,” which was staged on the Main Stage at the Walnut Street Theatre in Philadelphia. The scenic designer drives the overall look of a show. Tatarowicz starts out a new production by reading the script and, if it is a musical, listening to the music. Conversations with the director follow. At times, the director will have very distinct ideas about the show's look; other times there is more room for interpretation. 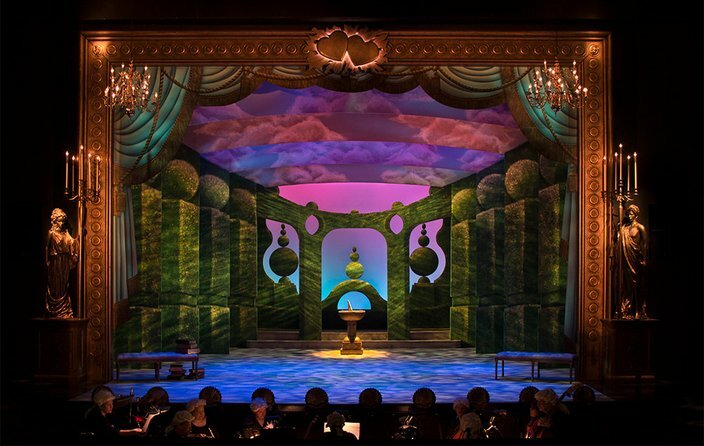 What the doctor loves most about scenic design is the collaboration with the director and other designers to combine their collective visions and concepts for a show. Next is the research phase. For "Triumph of Love" at the Riverside, he researched baroque opera and theaters where it played, and the scenic devices and type of lighting used. "Then I usually start to give the director some simple sketches, it could be the proverbial sketch on a napkin sometimes, and see if that is the direction that the director agrees with,” he said. Once an overall concept is agreed upon, Tatarowicz creates the formal renderings of the set designs, builds a model, and provides the technical director and production manager with the technical drafting so they can turn them into construction plans. He also works closely with the scenic artist. One of the most personally rewarding experiences so far for Tatarowicz? The scenery for "The Humans" at the Walnut Street Theater. On the day they were loading the sets in, it truly hit him that all the greats of American theater had played there. That the greatest American scenic designers had sets on this stage. Check out his current projects at his web site.